Easter is upon us, so that means time to stock up on lots of chocolate in preparation for the long weekend! 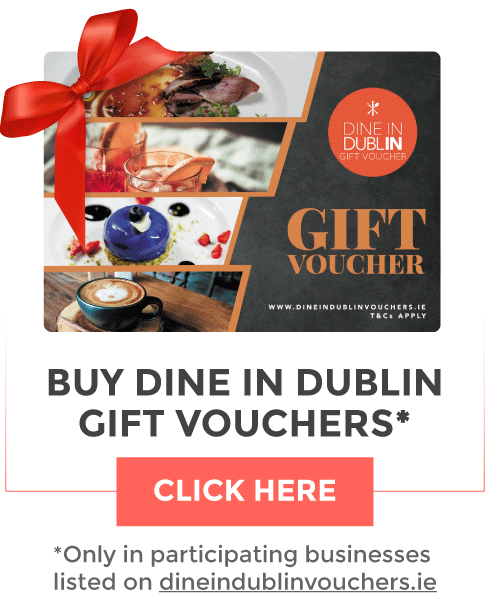 We all have our preferences when it comes to Easter Eggs so if you’re looking for something different this Easter then look no further than #DublinTown. 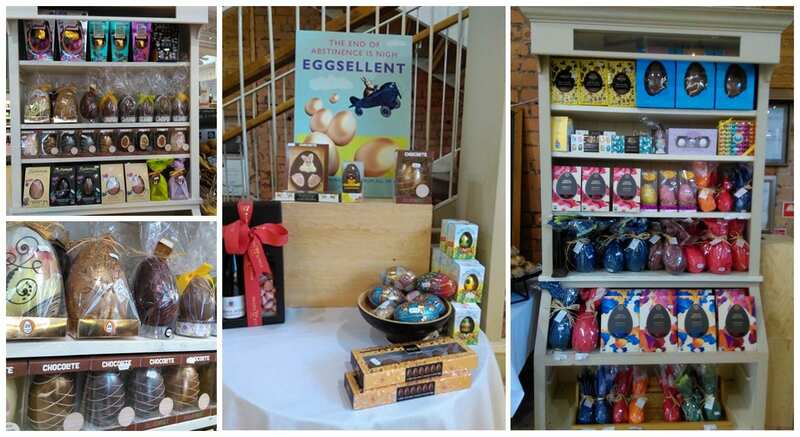 Butlers Chocolate Café is a one stop shop for everything you need this Easter. Pick up some cute chocolate bunnies in lots of different sizes, smaller mini eggs, beautifully wrapped eggs also in different sizes or keep it simple with a box of chocolates. 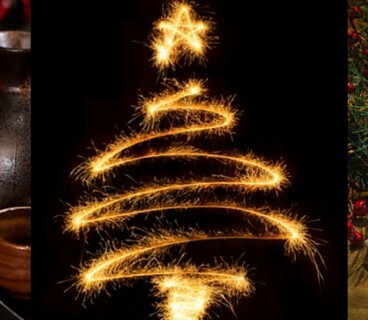 Drop in now to their store on Lower Liffey Street or Grafton Street to check out their great offers! Laudurée on South William Street are selling the cutest Easter bunnies this Easter and we are dying to get our hands on one! The bunnies come in both Milk Chocolate and Dark Chocolate Flavour and are the perfect cartoon shaped bunnies to give someone this weekend. 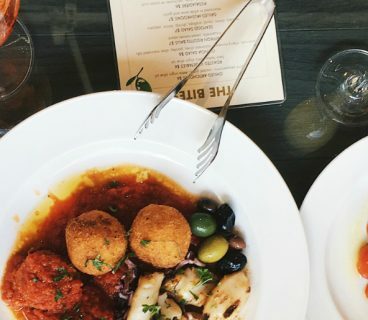 Almost too good to eat! 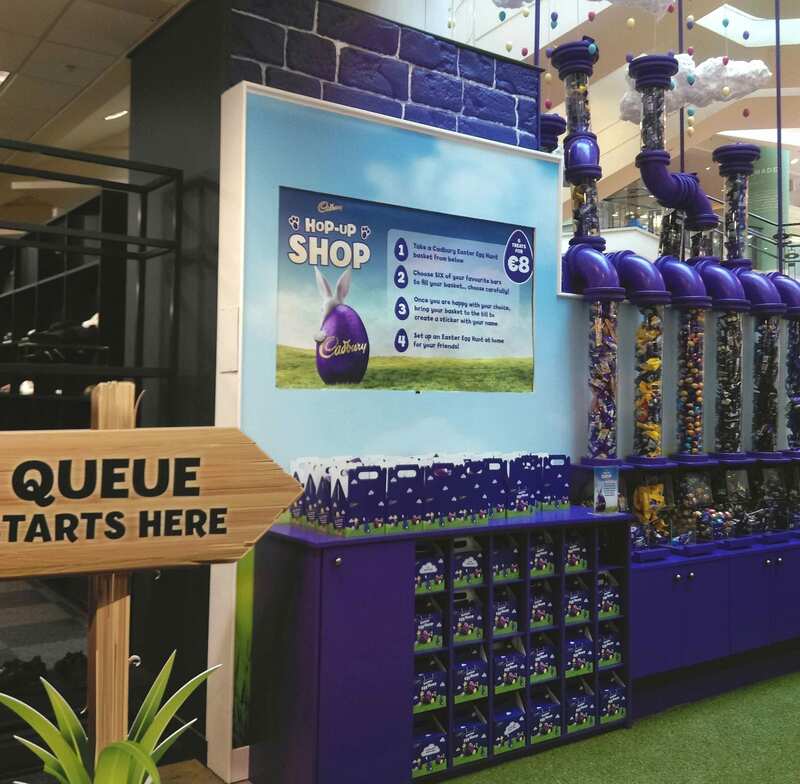 This Easter from Thursday 11th April to Saturday 20th April, Cadbury is hosting the Cadbury Hop-Up Shop in Arnotts department store. The family focused pop-up is gorgeously set up and shows chocolate eggs falling from the clouds, being sorted and collected into giant tubes. Customers can build their own Easter Egg hunt packs, choosing from a selection of Cadbury treats housed in each tube such as Cadbury Crème Eggs, Hollow Bunnies, Mini Eggs and more. Once your selection has been made, you can bring your box to the till to create your own personalised sticker. Fallon and Byrne some very unique Easter Eggs this year. 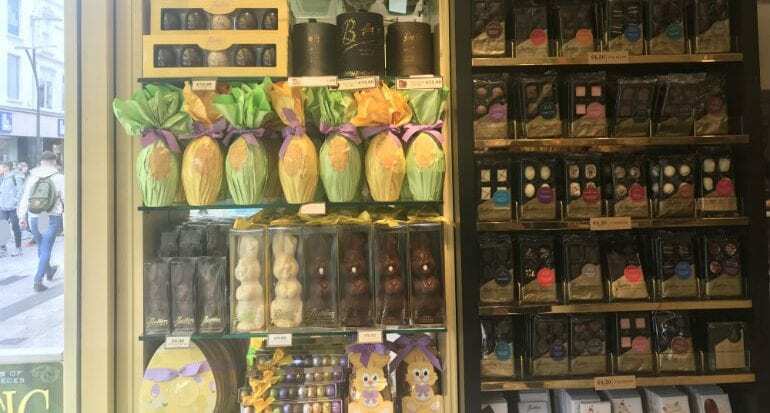 They also have a wide range of mini chocolate eggs, chocolate bunnies and chocolate chickens, there’s even flat Easter Eggs so you can send them in the post! 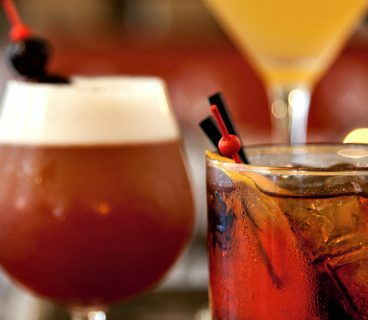 You’ll find something for everyone this Easter in store on Exchequer Street. 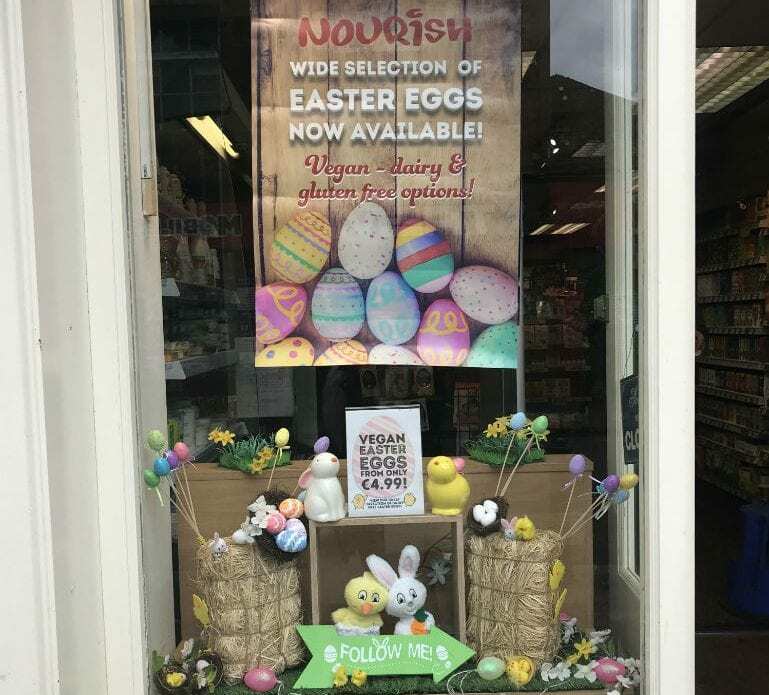 Nourish Health Food Store have thought of everyone this Easter by bringing out Vegan – dairy and gluten free Easter Eggs. 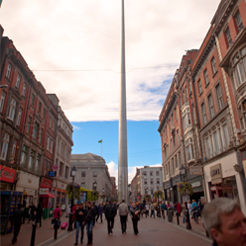 You can find Nourish food stores on Lower Liffey Street and Henry Street. Brown Thomas have a huge selection of chocolatey goodness for you to choose from this Easter. You will also have the chance to personalise chocolate eggs with Boutique Chocolat with gold painted lettering.